The global tobacco epidemic has now assumed pandemic proportions, with about 1.3 billion tobacco users and 6 million annual deaths from tobacco use. GATS assists countries to track tobacco control policies. With this important tool, we can invest our resources where most needed for saving lives. Strong partnerships were central to the successful implementation of GATS in our country, and the data obtained have been instrumental in the development of our national tobacco control policy. Without GATS data we were shooting in the dark. We can now invest our resources where most needed for saving lives. GATS is a huge catalyst for guiding tobacco control policies in India. It has provided us with vital data on all aspects of tobacco control. The information from GATS continues to increase the effectiveness of health policies and to reduce the smoking epidemic, thereby promoting the health of Poles. This Atlas presents tobacco statistics from 22 GATS countries in a visual format – using data that cover nearly 60 percent of the world’s population. 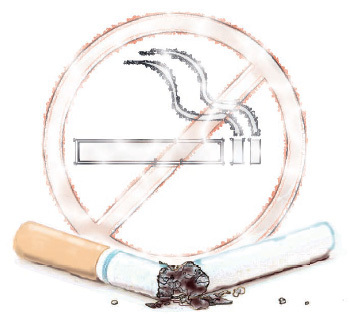 Following the MPOWER framework, and incorporating the WHO FCTC Articles, it describes the range of tobacco products, and represents statistics on tobacco use, secondhand smoke exposure, cessation, warnings about the dangers of tobacco, bans on advertising, promotion and sponsorship, and tobacco taxes. Progress and opportunities for further actions in 22 GATS countries are also highlighted. The Atlas serves as a resource for decision makers, public health professionals, advocates, researchers, and media as they work to advance social policies. Countries are encouraged to incorporate GATS questions in their own national surveys to obtain standardized and comparable statistics. Funding for GATS is provided by Bloomberg Philanthropies and Bill & Melinda Gates Foundation, through the CDC Foundation. Governments of Brazil, Greece, India, Malaysia, Panama, Qatar, Thailand, and Turkey contributed funding to the GATS implementation. Displays survey findings from over 180 countries and facilitates comparisons at the national, regional, and global levels. Presents data on tobacco use and on the impact of demand-reduction measures. Educate the public about tobacco, support smoke-free policies, and change social norms. Profile real people living with serious health effects from smoking and secondhand smoke exposure. Chronicles the devastating consequences of 50 years of tobacco use in the US. Explore tobacco control laws and analysis from countries around the world. Suggested Citation: Asma S, Mackay J, Song SY, Zhao L, Morton J, Palipudi KM, et al. The GATS Atlas. 2015 ©. CDC Foundation, Atlanta, GA.